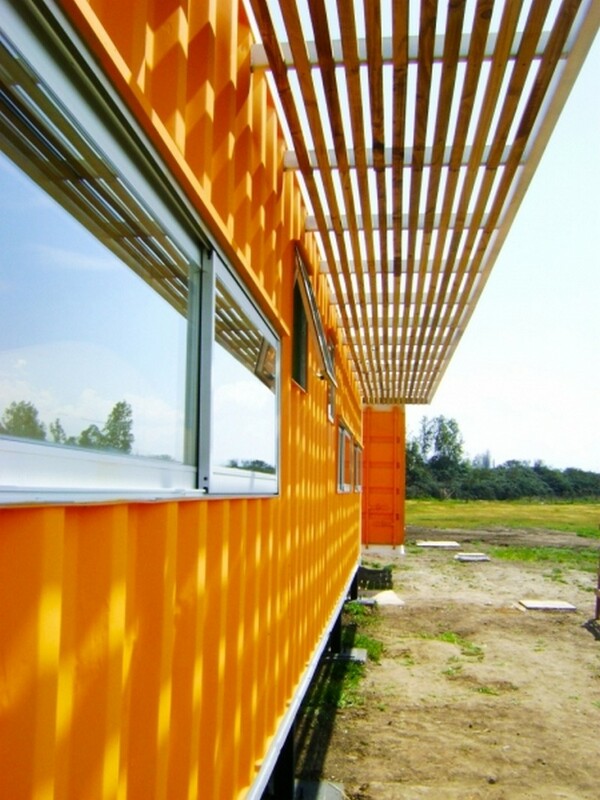 Materials: Corten steel shipping containers, steel frame, thermal pane window, plasterboard and sprayed cellulose insulation. 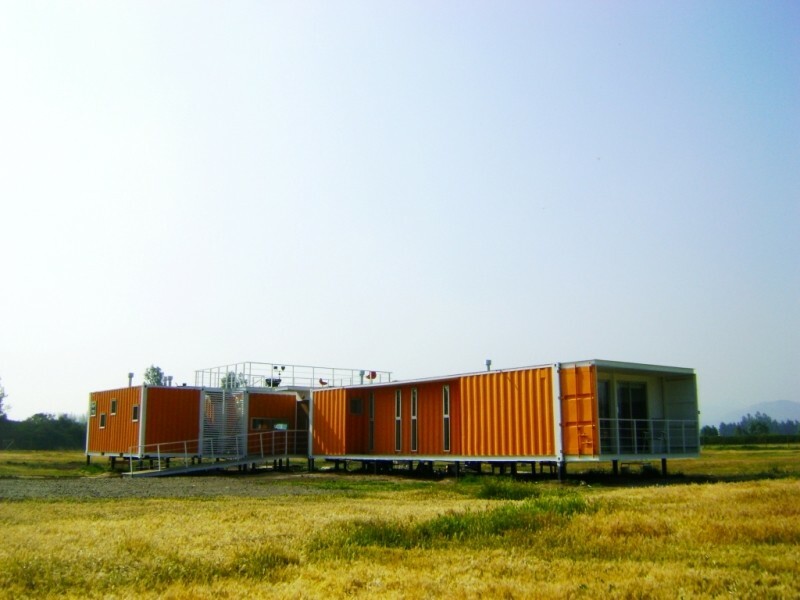 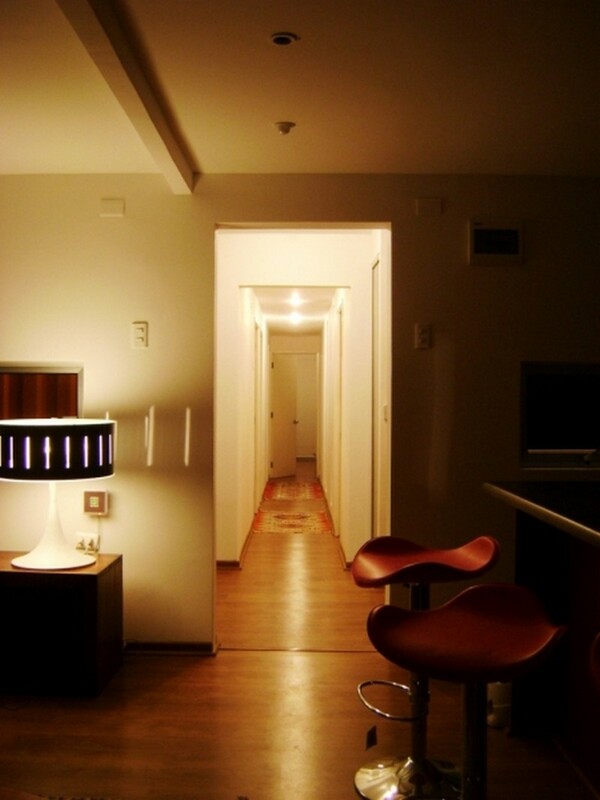 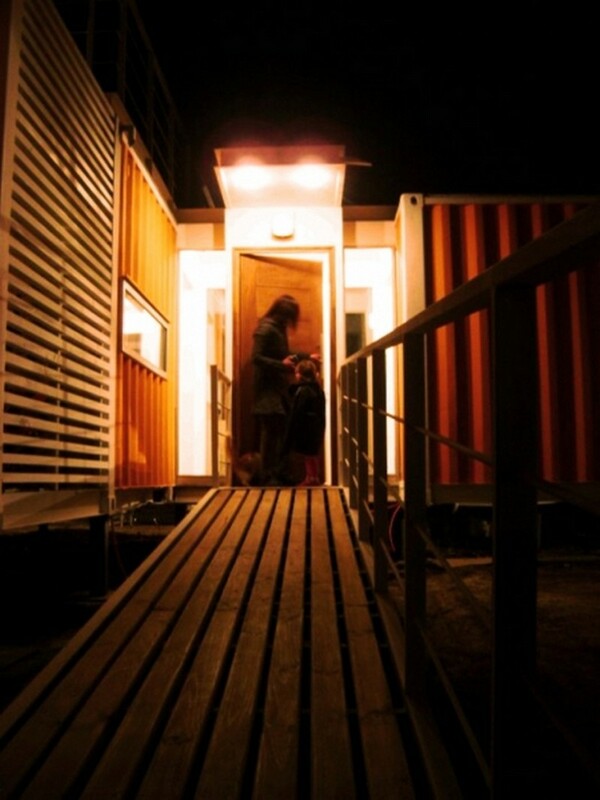 One of the most common objections we hear about container homes is ‘heat’. 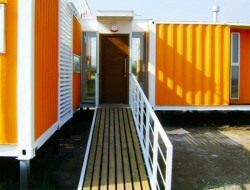 The reality is that containers are easily insulated. 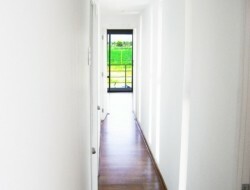 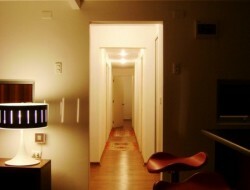 However, the easiest way to control heat is to stop summer sun from even hitting the home in the first place. 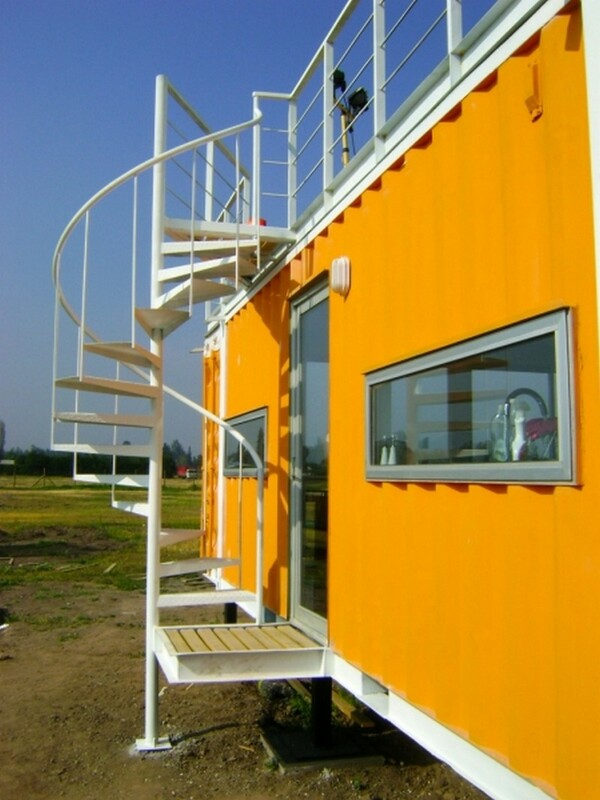 We’ve previously featured container homes with green roofs but this home uses a different solution – a roof deck. 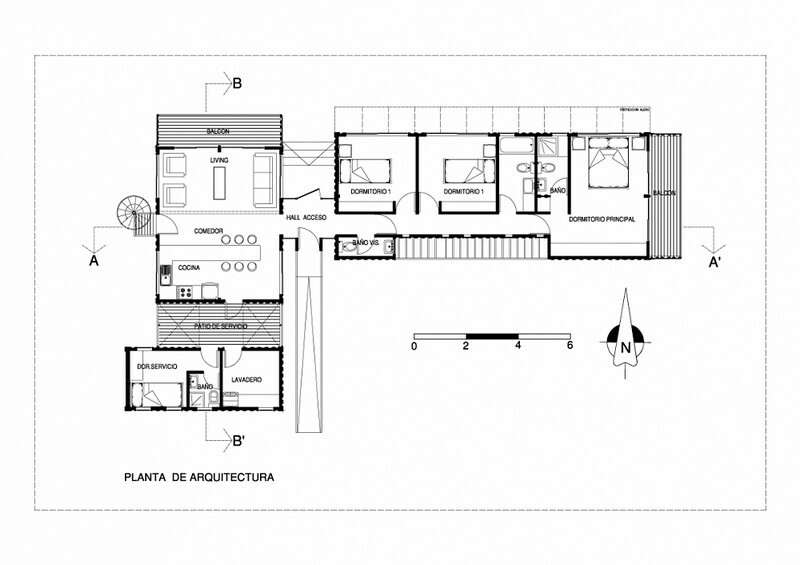 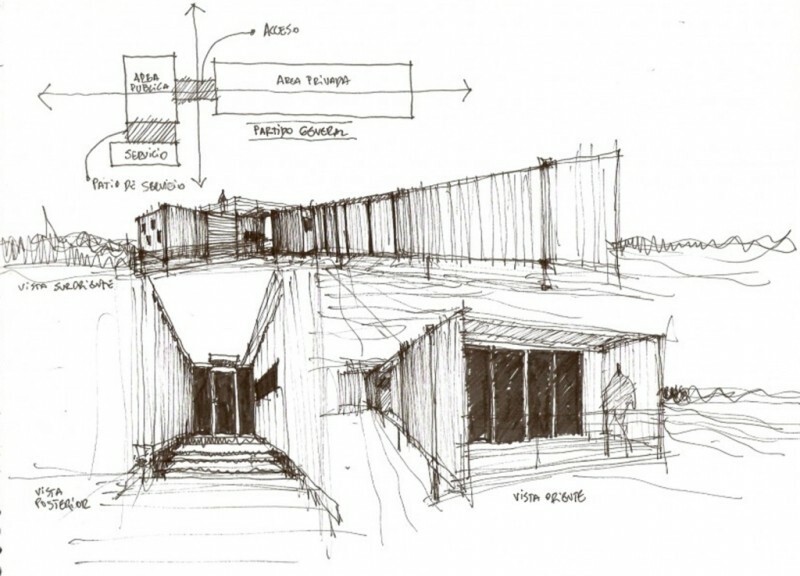 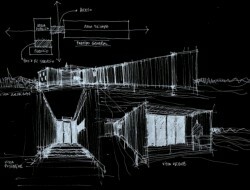 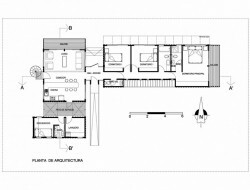 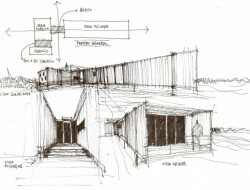 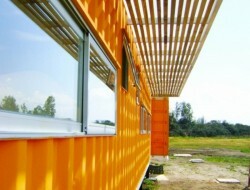 The architect has also used large overhangs, either from the positioning of the containers, or from timber awnings. 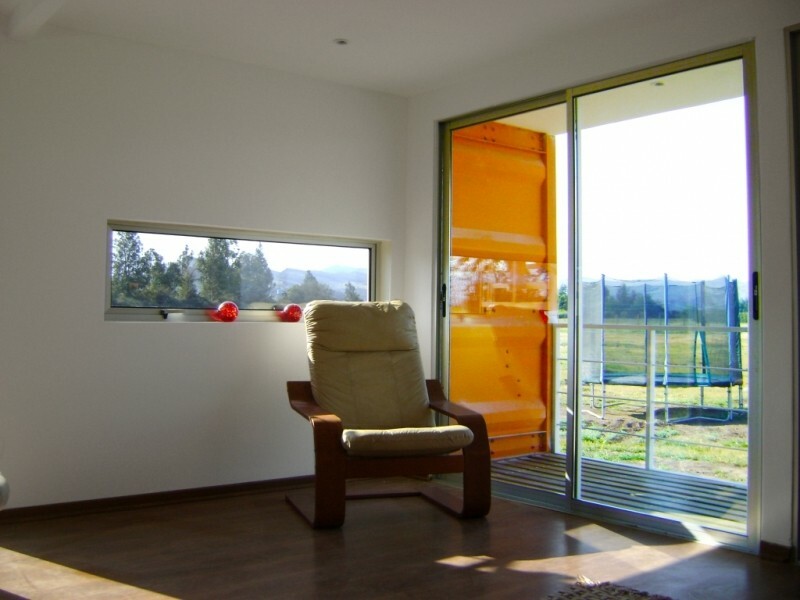 It’s a simple, elegant solution which, together with the sprayed insulation, will ensure a very comfortable living environment. 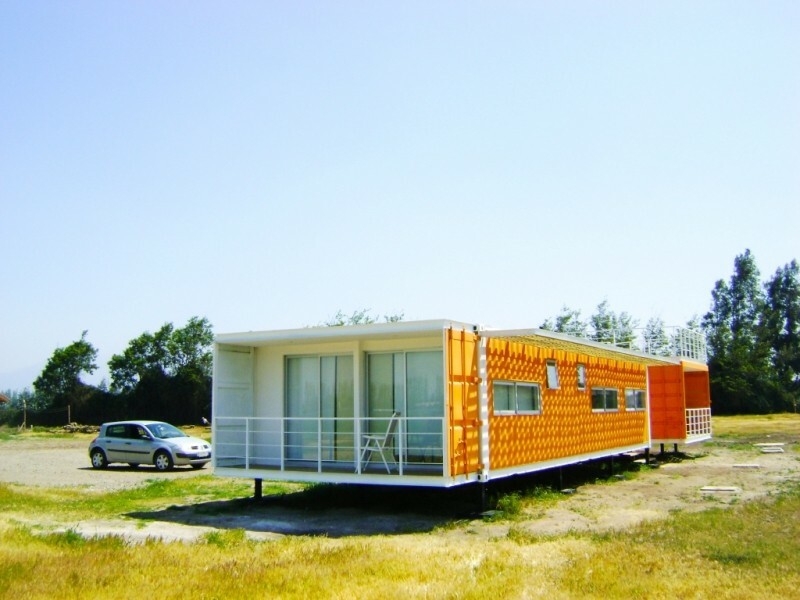 The owners wanted an earthquake-resistant home at an affordable price. 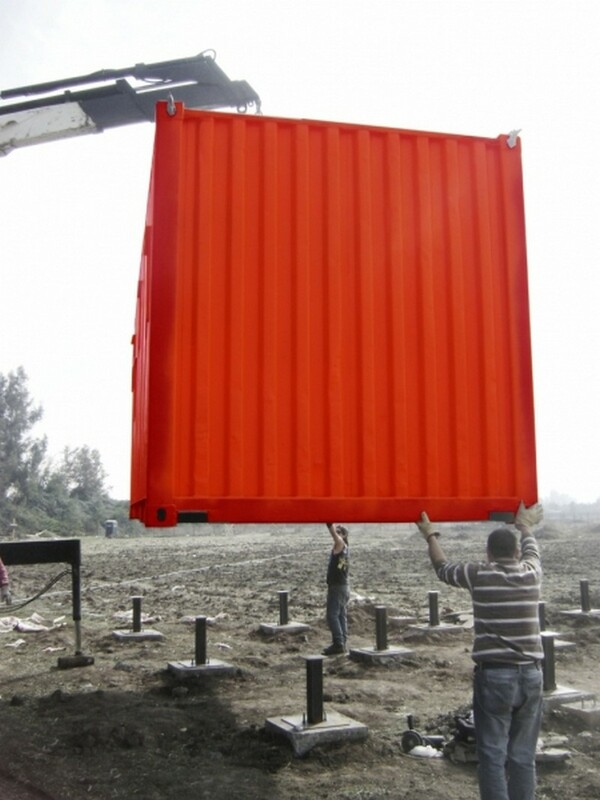 Containers are virtually indestructible, readily available and inexpensive. 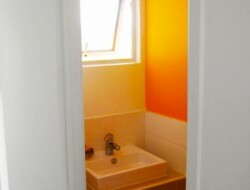 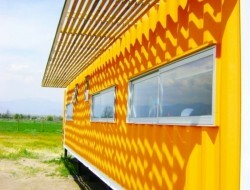 The home was constructed in less than three months and came in under $USD75,000. 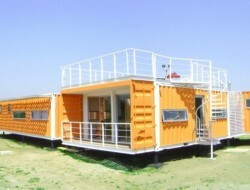 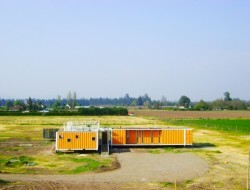 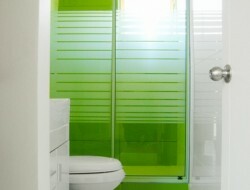 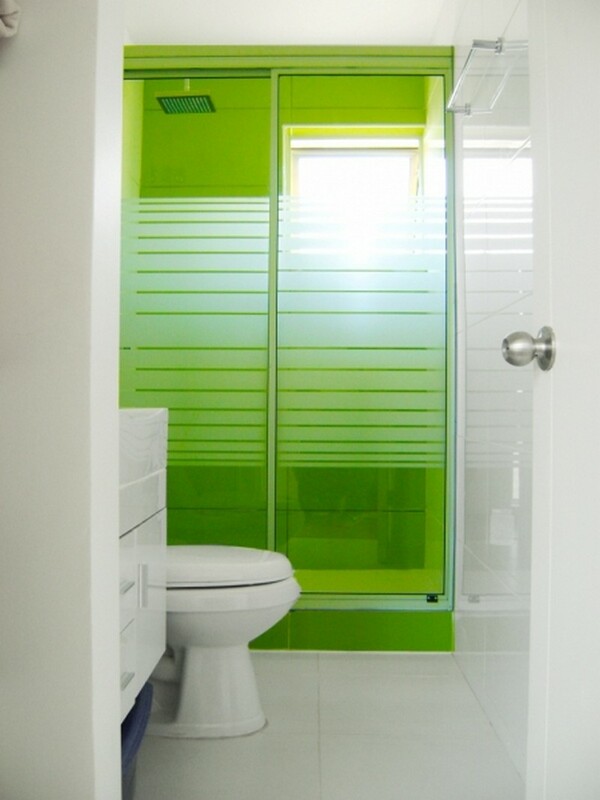 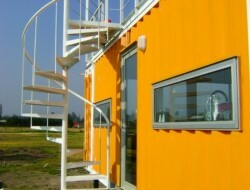 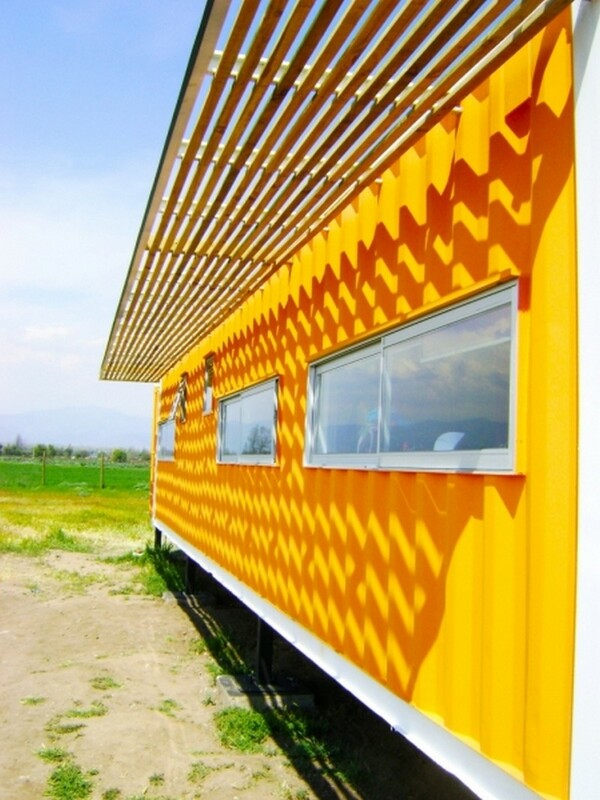 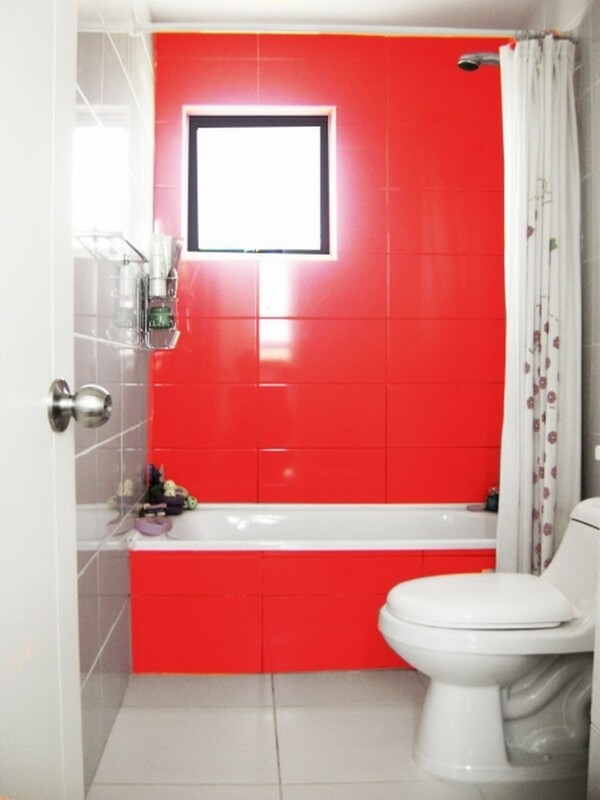 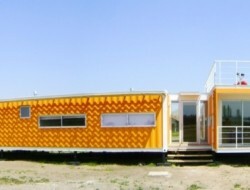 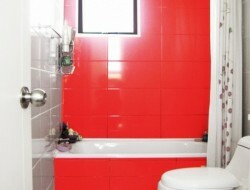 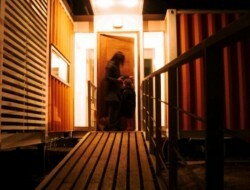 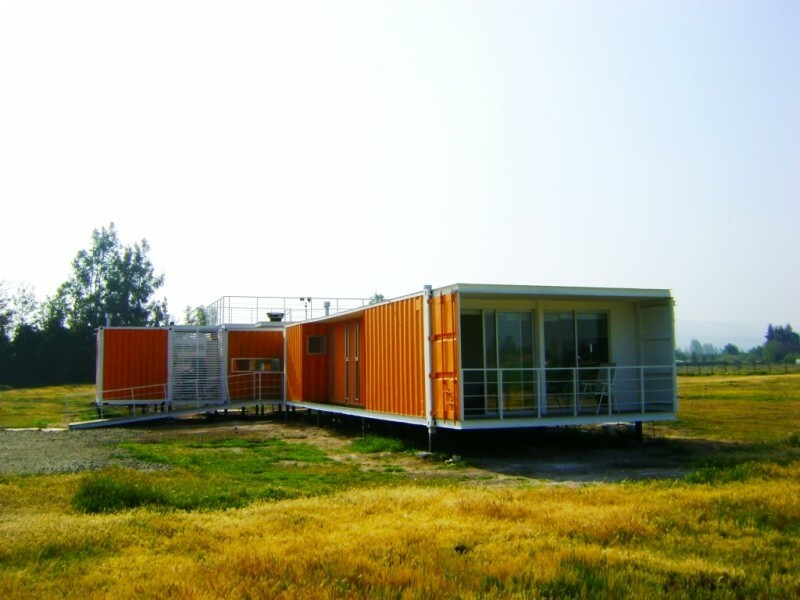 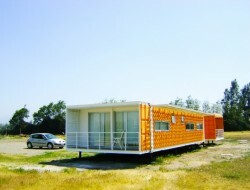 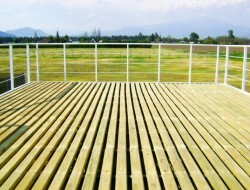 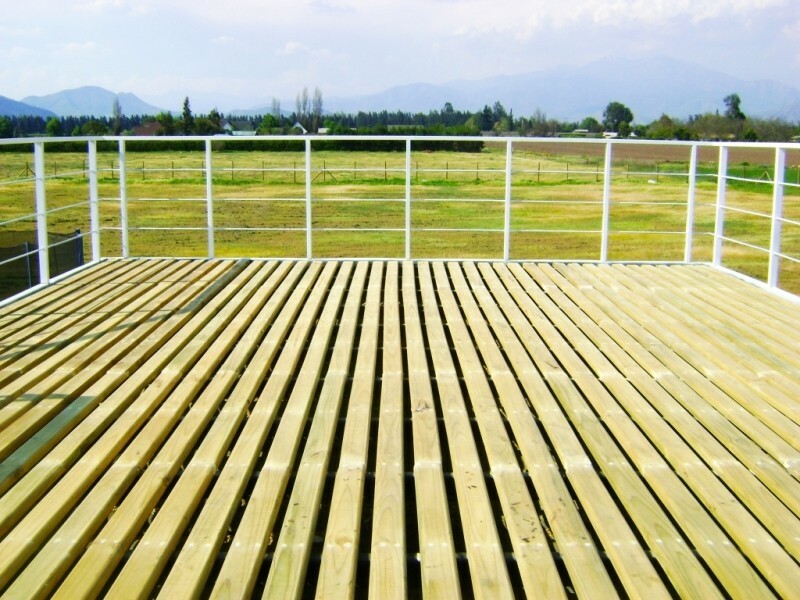 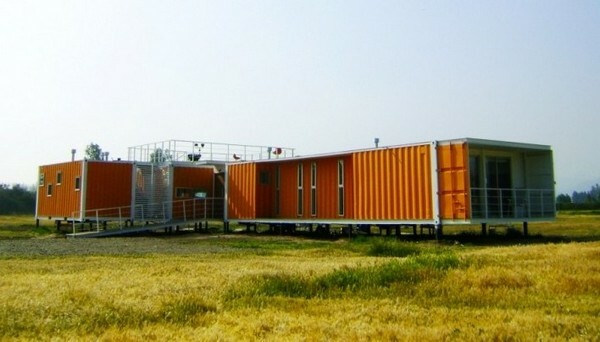 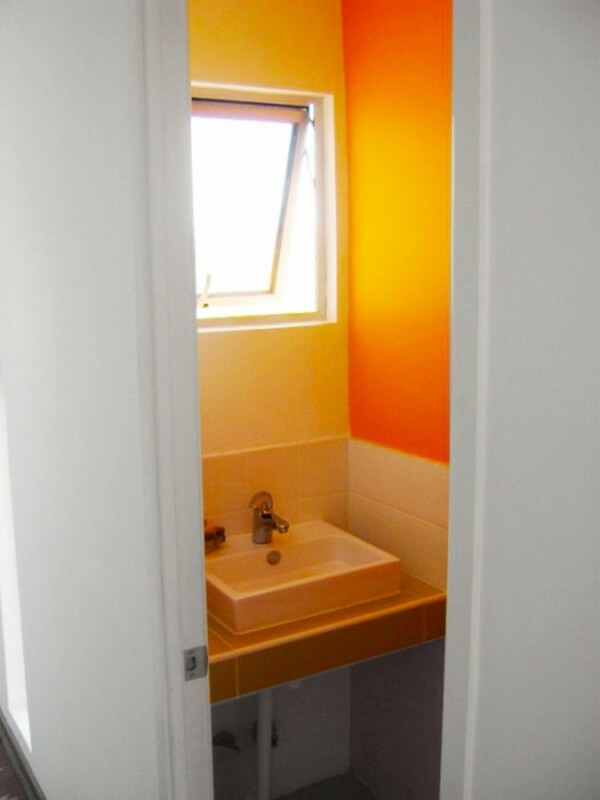 Constructed from five recycled shipping containers – 2 x 40′ and 3 x 20′. 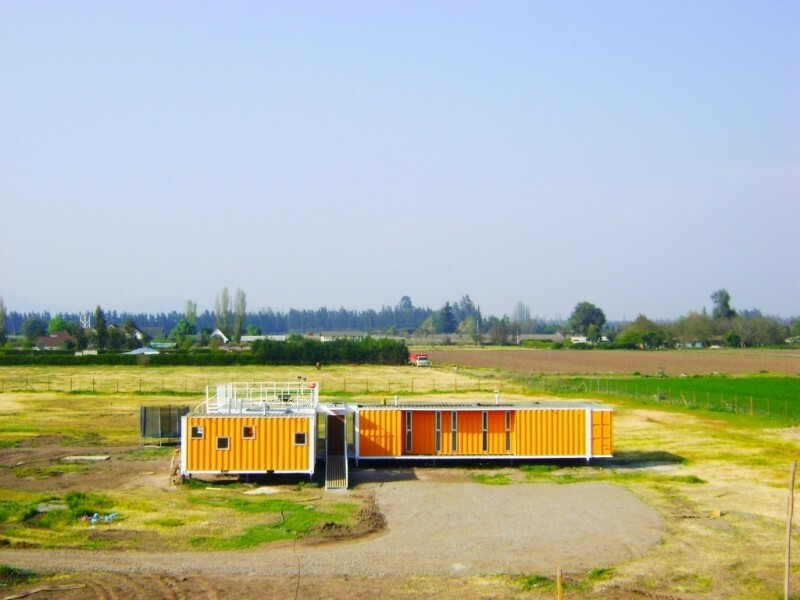 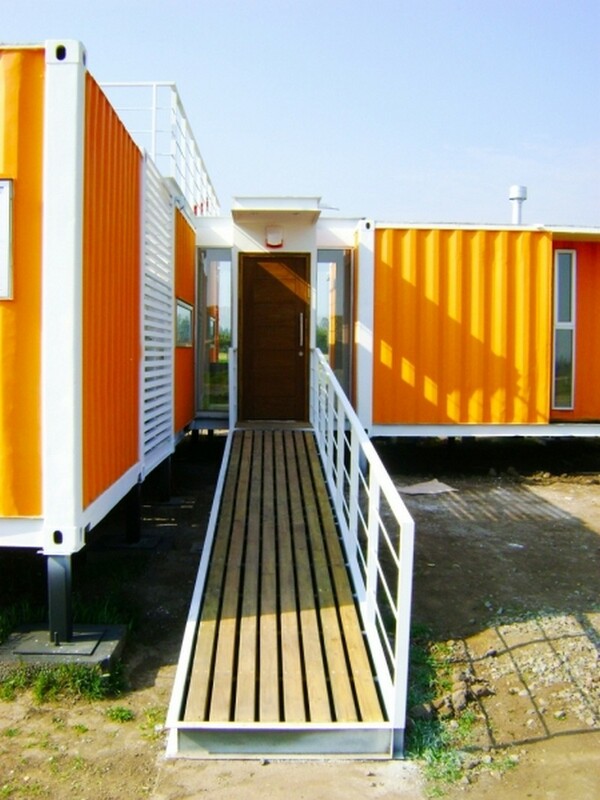 The smaller containers form the living, kitchen and service areas while the 40′ containers comprise bedrooms and bathrooms. 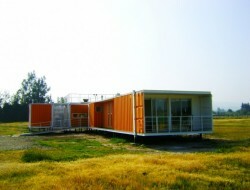 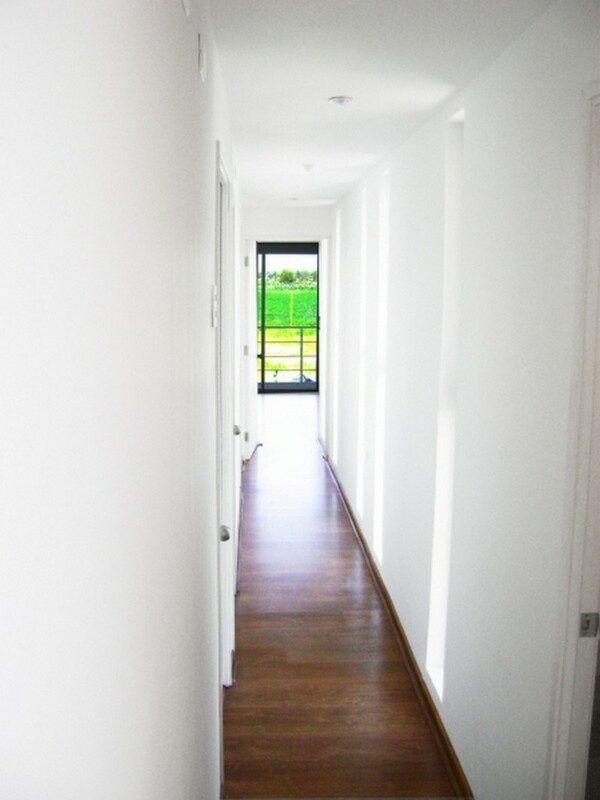 The original container flooring was replaced with hardwood while the walls and ceiling were insulated with spayed cellulose. 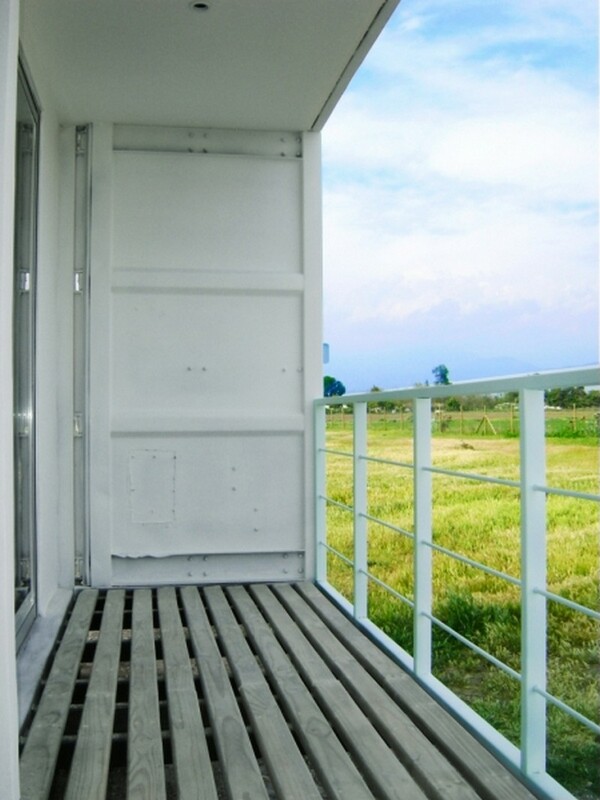 The insulation stops thermal and acoustic bridges, avoids water vapour condensation and is also extremely fireproof.